By Kerri Kreh Reda, M.P.H. Play is an essential component of a happy, healthy, and well-developed child. There is much concern these days about the social and emotional health of our children as they have greater rates of depression, stress, and anxiety. We hear all too often about school shootings, bullying, and addiction. There seems to be an increase in learning issues, poorer academic performance, and a lack of social skills. For the first time in our country’s history, our children have a shorter life expectancy than their parents due to the obesity epidemic and health issues related to it. Could play be the answer to these problems? Possibly. Play fosters self-regulation, impulse control, emotional regulation, socials skills, resilience, empathy, creativity, problem solving, critical thinking skills, cooperation, and language development. 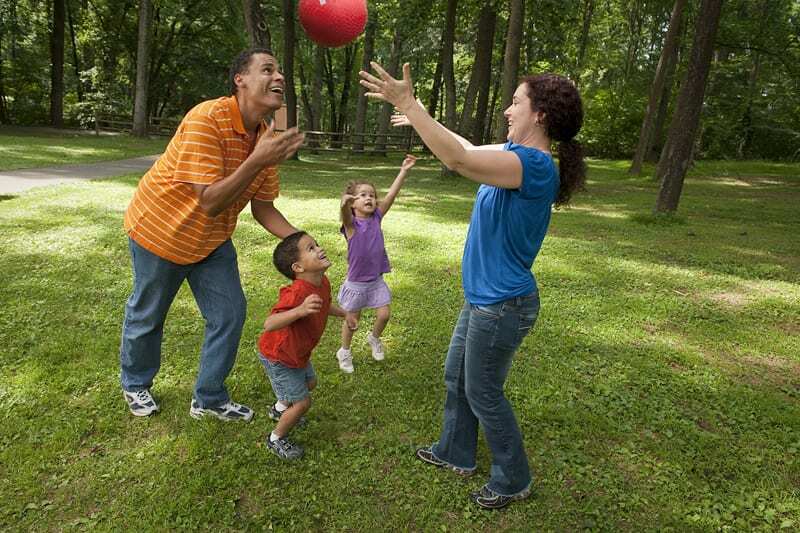 Additionally, physical play helps build coordination, strength, balance, and confidence in one’s physical abilities. Play supports all areas of development like no other activity. Unfortunately, children are getting less play time than ever before. Preschools are becoming more focused on academics and less on learning through play. Elementary schools are more academically rigorous, leaving little or no time for recess and other free play. Our homes are full of screens and technology, and our children are over scheduled with structured activities such as dance class, piano lessons, and soccer practice. Authentic play, the type that children need most, is unstructured, free, creative, and most importantly child led. Children need time to create pretend worlds, build masterpieces, and negotiate rules. Play is where life skills are learned and curiosity is born; it is the foundation that all else is built upon. Our society is trying to build houses with no foundations. Is it any wonder that our “houses” are not structurally sound? Play has diminished so greatly in recent decades that the deprivation of play is being considered a public health crisis. As a result, the American Academy of Pediatrics now recommends that pediatricians write a prescription to play for all parents of children ages birth to 2. It is hoped that this will convey to new parents the importance of play for their children’s development. Now, turn off your device and go out and play! Kerri Kreh Reda, M.P.H., is a Human Development Specialist with Cornell Cooperative Extension of Suffolk County’s Family Health and Wellness Program. She can be reached at 631-727-7850 ext. 330 or at kkr5@cornell.edu.